We’d love your help. Let us know what’s wrong with this preview of The Rough Guide to Mexico by John Fisher. 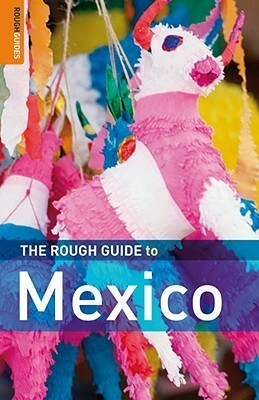 The Rough Guide to Mexico is the most comprehensive guide you'll find. From the pre-Hispanic Pyramid sight of Tula to the breath-taking train-ride across Copper Canyon, the full-colour section introduces all the countries "must-sees." This revised 7th edition includes hundreds of incisive accounts of the sights, providing fresh takes on lesser known gems as well as the wel The Rough Guide to Mexico is the most comprehensive guide you'll find. From the pre-Hispanic Pyramid sight of Tula to the breath-taking train-ride across Copper Canyon, the full-colour section introduces all the countries "must-sees." This revised 7th edition includes hundreds of incisive accounts of the sights, providing fresh takes on lesser known gems as well as the well-established attractions including the Maja ruins in Chiapas and the Yucatan to mariachi in Mexico City. Use the clearest maps available to investigate every corner of this vibrant nation from the beaches to the bustling cities and ancient Mayan temples. There are complete listings of all the best places to stay and eat to suit every budget and significant historical information to give you a well-rounded understanding of Mexico's feast of architecture and rich cultural heritage. To ask other readers questions about The Rough Guide to Mexico, please sign up. good guide. better than lonely planet.